The Star TSP100iii W is one of the best receipt printers on the market and it's super easy to use. This forum will teach how to install, connect, and troubleshoot the printer with your Android Device. 1. The first thing you want to do is turn on the Main Unit Power. Connect the Included power cable to the inlet on the back side of the TSP100iii W. Connect the plug of the power cable to the outlet. 2. On the left-hand side of the device, flip the switch to on and check that the blue LED light is lit up. 3. Next, you should insert a roll of paper. Check that the power is on. Push the lever on the top to open the cover. 5. Pull the end of the paper out straight and over the front of the printer and push down on both sides of the printer cover to close. 1. 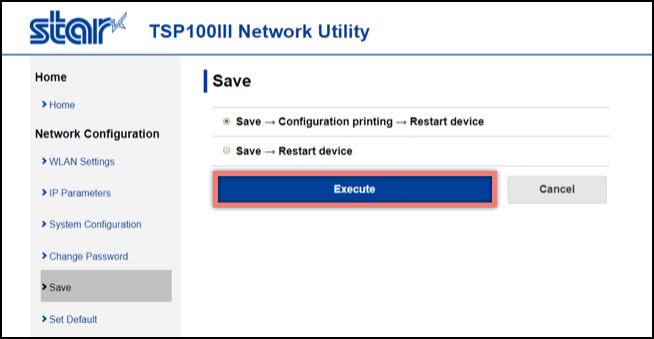 Now that you have the printer physically set up, it's time to connect it to your network. On the back of the printer, under the wire cover, press and hold the PAIR button until the blue LED light starts flashing. 2. 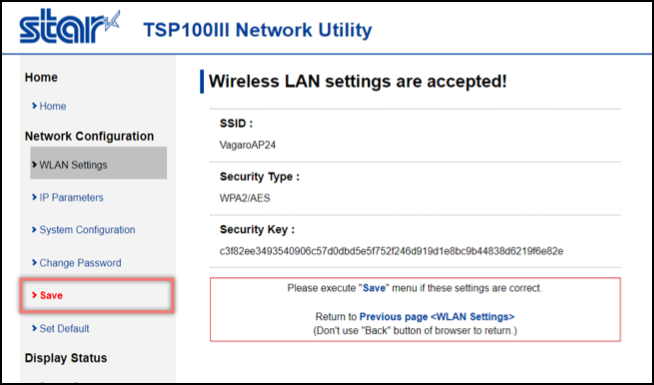 Press the WPS button on your router. When the printer connects to the network, it will print the connection information and the blue LED light will change from flashing to solid. Note: When a connection cannot be made, just follow the next steps. 1. First, make sure the printer is off. Then perform a self-print to get the MAC address of the printer. 2. To perform a Self-Print press and hold the FEED button. Do not let go, but thenturn the power on. Take your finger off the FEED button when self-printing has begun. 3. On this printout, you can check the MAC address from "Network Configuration." 4. Back on your Android device, go to the settings screen, tap Wi-Fi and make sure it is turned ON. 5. From the device list that appears at the bottom, refer to the last 6 digits of the MAC address, tap the device to connect. 6. Once connected, "Connected, no internet" will appear under the SSID indicating that the connection is established. Note: When connecting with this method, Internet access is not available on that device. 7. Open your devices web browser, such as Safari, and enter 192.168.10.1 in the address field. (If the IP address of the printer was changed, enter the IP address that appears under "Current IP Parameters Status" on your test print). 8. In the upper left-hand side of the screen, tap the three lines to open the side menu. From that menu tap Login. 9. Log in with the credentials below. 10. The following message is displayed when you are using the default password. DO NOT CHANGE THE PASSWORD. Tap Cancel to keep the login information the same. 7. You will be prompted to change your password after logging in, DONT CHANGE YOUR PASSWORD. After login click WLAN Settings from the left-hand side. 8. 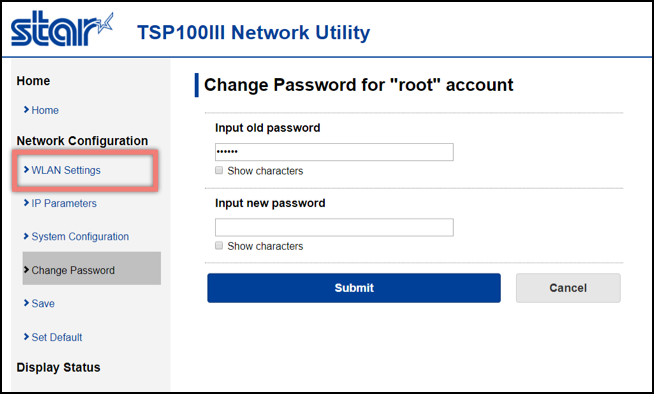 Enter your internets SSID and Security Key and click Submit to connect the printer to your network. Make sure to select WPA2/AES under Security. 9. When you click Submit, Save will be flashing red. Click Save. 11. Your printer will restart and will stay connected to your network. 1. Let's test our setup by printing a receipt. Tap More. Then, tap Reports. 3. You will get the transactions from the past month. Tap a transaction. 4. In the upper right at corner tap Receipt. 5. Confirm and tap Print. If the printer is connected correctly, it will print out the receipt. If not, refer back to the instructions on how to connect the device to the WiFi network. 6. This is an example of your test print.